HTC has confirmed that it will update the HTC Desire and Nexus One with Super LCD (SLCD) displays later this summer. With the company looking to ramp up production, the rumoured shortage of OLED screens appears to have forced the change. 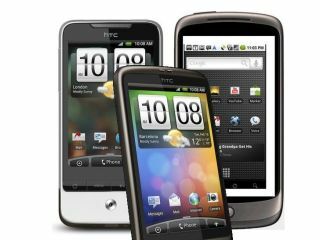 The Taiwanese electronics giant has confirmed in a release that the screens would arrive for a 'variety' of handsets, including the Nexus One and Desire. "HTC is experiencing high demand for many of our phones, specifically our phones with 3.7-inch displays, said Peter Chou, CEO of HTC Corporation. "The SLCD displays provide consumers with a comparable visual experience to HTC's current 3.7-inch displays with some additional benefits including battery performance." Power management and wider viewing angles aside, a comparable performance and plentiful supply means that the company can make more handsets.